The porous structure of fibreboard significantly improves the sound environment of rooms, preventing entry of outdoor noise and dampening the noise and echo generated in the room. The average noise insulation of board is Rw = 22 dB (12 mm board). Effective in applications ranging from walls to ceilings to floors. It works best when installed in combination with (behind) gypsum drywall or similar in interior wall and ceiling applications. They use fibreboard for making corner absorbers and also for packaging. 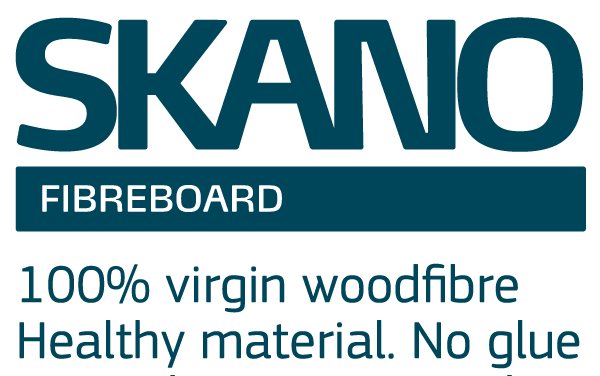 Pontus Randén, CEO of the company, says that Skano board is with right density and fairly lightweight, while still being tough and hard. Besides that it is environmentally good product.